Occasional snow showers. Low 27F. Winds WSW at 10 to 15 mph. Chance of snow 40%.. Occasional snow showers. Low 27F. Winds WSW at 10 to 15 mph. Chance of snow 40%. This course shows the general idea of where the Bookworm Shuffle will be taking place. Delta Imagination Library is happy to announce its first 3K Bookworm Shuffle Fun Run, being held in conjunction with National Booklovers Day. The group intends to make this an annual event. 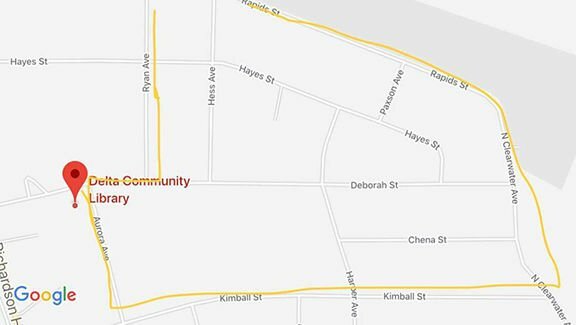 Readers of all ages – and especially families with young children – are invited to gather in the back parking lot of the Delta Community Library for registration at 6 p.m. on Friday, August 10. The run will begin at 6:30 p.m. The first 75 children to register will receive a lanyard to collect punches at the corners, with prizes waiting at the end. Volunteers will be present at each corner of the course to mark prize cards, guide race participants, and alert traffic to pedestrians. The Delta Imagination Library (DIL) was organized in March 2010 as the local branch of the national (now global) Dolly Parton Imagination Library. Their mission is to support early literacy in the Delta/Greely area by fostering the love of reading. Children registered with the program receive a new book in the mail every month until they reach five years of age. 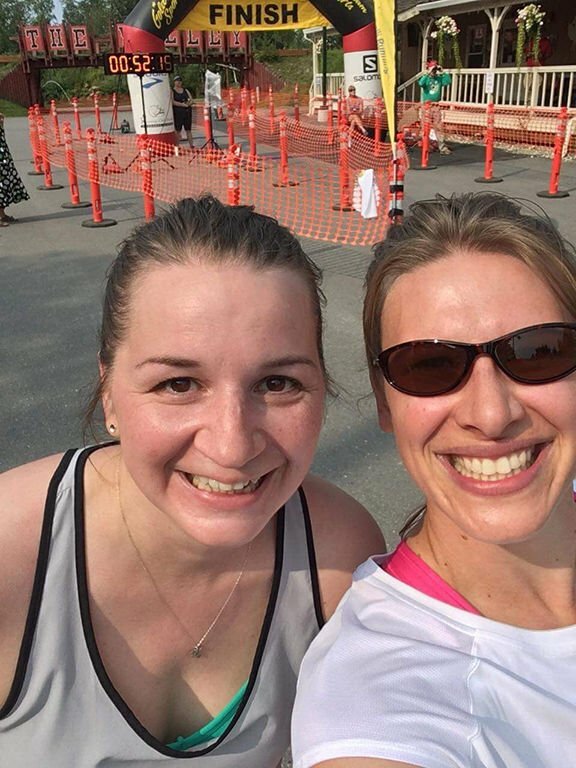 This summer, DIL board members Julia Phelan and Jessica Fellman rediscovered a love of jogging. Deciding to jog together a few times, it didn’t take them long to find that they enjoyed the activity just as much with their kids in tow – and both women realized that they had discovered a family activity to enjoy that was just as fun as reading, and so the idea was born. Our local Imagination Library currently has 231 children enrolled. This organization is completely free of cost to the families and children. Families with children under the age of 5 years old are urged to join. Program registration and more information are available online at https://imagiationlibrary.com, or you can call Jessica at 803-8118. The DIL organization is very grateful that their financial requirements have been met by local community and business donations. Through those donations, registrations for this event are free and new sports/athletics related children’s books for the Bookworm Shuffle prize table have been purchased, which also contains goodies donated by the Delta Community Library. Granite View Sports and Gifts has generously donated a grand prize basket to be awarded to the first family to cross the finish line together. So mark your calendars and bring the family to the Delta Community Library on Friday, August 10! The shuffle will start at 6:30 p.m. and sign-ups are 6 p.m.